When it comes to find the best stock from the market,most investors fail to find. Choose the valuable stocks is always hard for normal investor even sometimes expert investors also face this problem. Stock market is all about invest in best stock and make money with that stock. You will make fortune if you success to find the valuable stocks. This guide will teach you some important facts when you find the best stocks. Before select your stocks you should must know what is your purpose behind buying the stock.Ask yourself that how much money you want to make from the market. Your goal determine your success.Without goal is like that you go on the road but don't know where you are going. It's most important to check the companies past perform before you buy the stocks.Did the company success to grow their business ? Every company give a prospectus to the public.You should read the prospectus to know the companies background. Past performance may be good sign to future returns But, you should also know that if a company is growing since few years it does not mean that company is valuable. May be that company fail to perform in future. And if a company do bad performance in past years ,does not mean that company never grow in future. There are thousands of stocks out there. Some stocks are good for long term investment.And some stocks are good for short time investment.If you invest for your retirement then you should focus on companies P/E ratio. The higher P/E ratio is the good sign of future growth. And if want to invest money for short time,then you should focus on basic analysis. Because basic analysis gives you quick overview of that company. 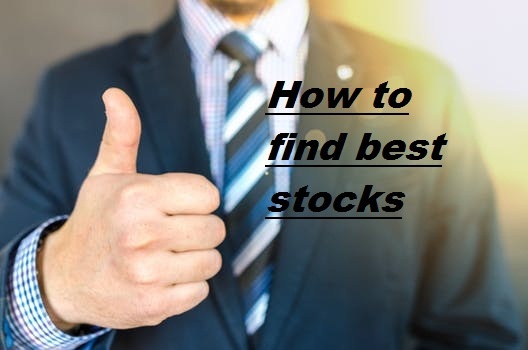 If you are new investor in stock market,and don't know much about good stocks then i will recommend you that choose the company which is already a brand.because they are famous and there is a high chance that the company will grow in future. Short time Investment is more risky as compared the long term.The successful stock market investor warren buffet also advice for long term investment.